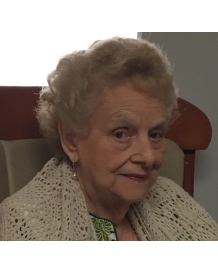 Betty L. Duhe passed away peacefully, on Saturday, October 27, 2018 at the age of 89. She was a native of Missouri and resident of Chalmette most of her life. Beloved wife of the late Emile J. Duhe. Loving mother of Sherrie Klotz (Lester), Linda Chevalier (Louis) and the late Gary Duhe (Linda). Grandmother of Ryan Whitfield, Candice Sofranko, Greg Duhe, Zachary and Kristen Klotz and Louis Chevalier III. Great-grandmother of 6. Also survived by many nieces and nephews. She was a member of the VFW Women’s Auxiliary of Chalmette and the Canasta Club for 38 years. She will be greatly missed by all.